Home › Faculty Directory › Talesfore, Carrie, Ph.D.
Counseling and psychotherapy, evidence-based practices (e.g., behavior therapy, cognitive behavior therapy), sociocultural model of eating disorders, autism spectrum disorders. Dr. Carrie Talesfore is an Adjunct Professor in the Psychology and Social Action (PSA) Program at Palo Alto University and currently serves as the Internship Coordinator and academic advisor to the hybrid students. She has taught several courses at PAU and other universities including Theories of Counseling and Psychotherapy, Theories of Personality, Cross Cultural Psychology, Developmental Psychology, Clinical Psychology, and Child Psychopathology. Dr. Talesfore earned her graduate degrees at the University of Hawaii at Manoa, where her research focused on eating disorders and the impact of the media on body image. For over 18 years, Dr. Talesfore has also worked with children with a variety of behavioral, social, and emotional difficulties. She completed her pre-doctoral internship at Children’s Hospital Los Angeles and her postdoctoral training at the May Institute Pediatric Specialty Center. 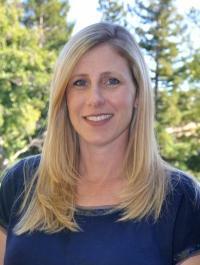 She is currently a post-doctoral psychological assistant in private practice in Los Gatos, where she works primarily with children with anxiety disorders and behavioral concerns. Talesfore, C. M.(2010, March). The biology of human starvation: The Ancel Keys study. Presentation for doctoral clinical psychology students, May Institute Pediatric Specialty Center, San Jose, CA. Talesfore, C. M.(2010, January). Battelle Developmental Inventory, 2nd Edition (BDI-2). Training for May Institute Pediatric Specialty Center service providers, San Jose, CA. Talesfore, C. M.(2007, May). Psychology: What to do today to prepare for tomorrow. Presentation for Psi Beta inductees at West Valley College, Saratoga, CA. Dial Ward, K., Talesfore, C. M., Bentley, B. L., & Harris, A. B. (2004, July). Lunch Bunch: An interdisciplinary model for pediatric feeding intervention. Poster presented at the annual meeting of the American Psychological Association, Honolulu, HI. Talesfore, C. M.,& Nuñez, S.C. (2004, May). Shaping Grapes: Using behavioral strategies to improve eating in a child with autism. Symposium presented at the UCLA MCH Nutrition Leadership Training Program in conjunction with the USC University Center for Excellence in Developmental Disabilities at Childrens Hospital Los Angeles, Los Angeles, CA. Talesfore, C. M.(2004, February). Behavioral Principles in Practice: Theory and Application. Workshop for in-home behavioral specialists. Focus Psychological-Educational Services, Los Angeles, CA. Talesfore, C. M.(2004, January). Theory of Mind and Autism. Presentation for Leadership Education in Neurodevelopmental Disabilities (LEND) interdisciplinary treatment team. Children’s Hospital Los Angeles, Los Angeles, CA. Special recognition given. Talesfore, C. M. (2001, December). Sociolinguistic mediation of eating disorder related attitudes, behaviors, and concepts: A study of bilingual Chinese women. (Master’s thesis). University of Hawai‘i at Manoa.